Growing up, my parents always had chore charts, responsibility, and taught me the essentials of working for and saving money. Much later, I realized what a gift to understand the relation of my time to money and finances. Kids learn lifelong money habits in the home. 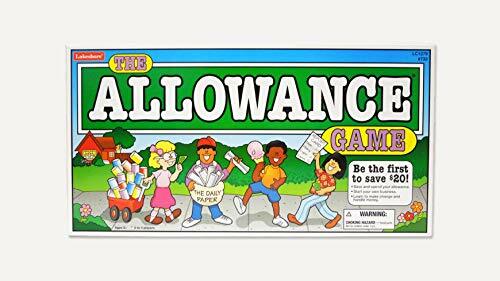 It’s important to model and teach healthy money skills while they are young, so kids are on a path to financial success. Here’s some wise ways to teach kids money habits, so we can set them up for a lifetime of success, not struggle! I’m a big believer in having kids learn to count and make change. I know in our digital age, this has become a nearly obsolete skill, but it’s handy, and I believe still relevant for kids to understand parts of the whole and percentages. Put some magnetic money on the fridge and every day have kids interact by counting, making equivalent values, and making change. Don’t make money management a secret in your home. Instead, use it as a learning tool! Kids retain concepts better by using them. Unfortunately, some money scenarios only come around every couple of years for the average person. 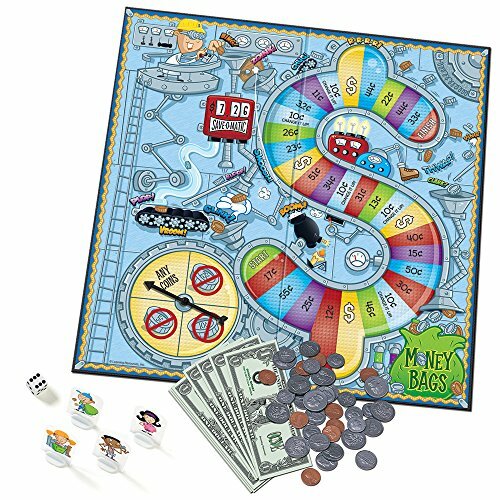 Money and finance themed board games allow kids and parents to go through many real-life finance situations in a virtual way. Games that simulate real-life money scenarios give parents a chance to help kids reason through their choices. Kids will gain financial literacy and develop their critical thinking skills without feeling like they’re getting a lecture. Franklin’s Fortune – A Fun Financial Literacy Game! Based on the wisdom of Benjamin Franklin, in this game, players strive to achieve prosperity. Each player (2-4) receives a Sunrise Deck of cards to play each turn (“day”). Everyone starts as a modest Tradesman, but can progress (via Education and Experience) to become a Proprietor and/or an Investor. Players “work” to earn money, and improve your prosperity by purchasing cards from the Commons to build their deck (or Fortune!). Along the way, players learn about the frustrations of paying for Necessities. Or the double-edged sword of indulging in Luxuries. They can carry debt, invest, or overcome obstacles in their attempt to succeed. My husband and I played Franklin’s Fortune caught on quickly. 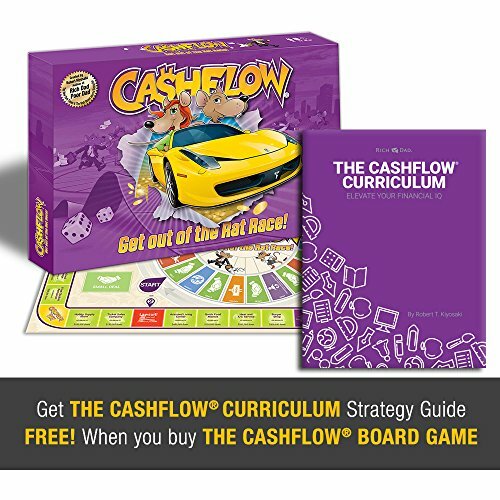 We both loved the real-life application and financial wisdom embedded into the game play. The included Almanack (rule book), includes many Franklinian sayings to enhance game play and conversation. Franklin’s Fortune is a great way to spend time as a family, while imparting high-level money concepts like how Experience, Persistence, Investing, and Virtue play a role in financial (and life!) success. You’ll definitely wind up having great conversations about the financial wisdom in this game. Franklin’s Fortune is a must-add to your game closet. 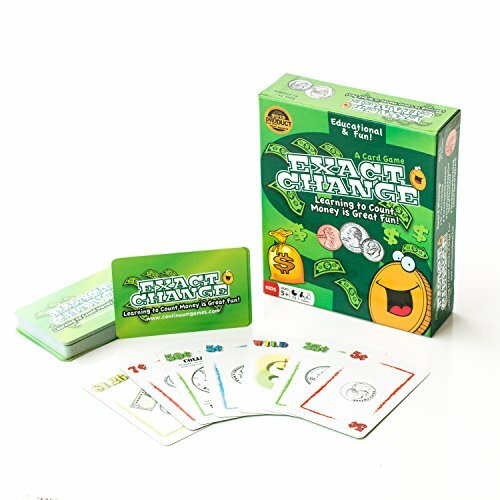 And, it’s perfect for gameschooling homeschool families! Even better, Franklin’s Fortune was created and designed by Shane Newell, a local dad from Massachusetts, which is also Benjamin Franklin’s birthplace! Newell had his game produced right in Massachusetts, making it a local made in the USA product. 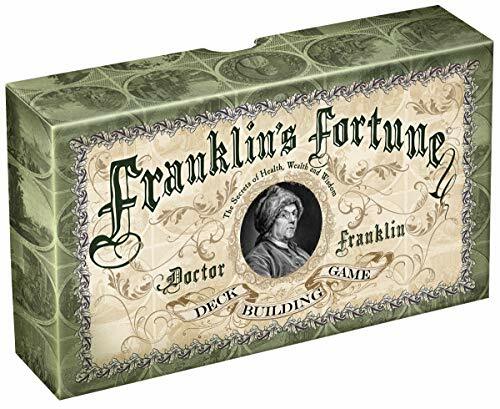 Watch a video about how to play, then get your own Franklin’s Fortune game on their website! Instead of just letting kids carry money around in their wallets, use visually engaging tools to teach money management to kids. Money Savvy has a family activity and coloring book to help parents teach kids money habits in a natural way. Talk about money while kids color and complete activities. 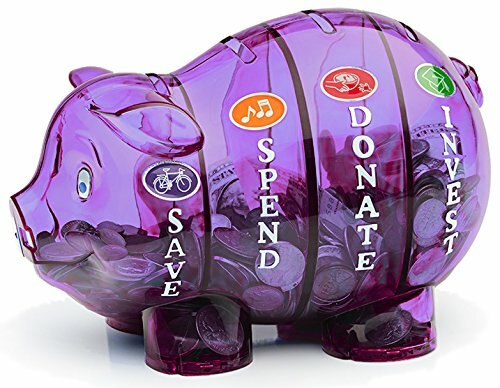 Reinforce your conversation with the Money Savvy banks to strengthen their understanding; these four-slot banks have separate chambers reminding kids to Save, Spend, Donate, and Invest. Their banks come in four styles: piggy, cow, football, and soccer ball. For tweens and teens, check out their Cash Cache Personal Finance Organizer. It includes a handbook plus four zipper pouches to organize money, and goal setting templates. Money Savvy’s O.M.G. Official Money Guide for Teenagers is chock-full of graphics and charts that teach money concepts. 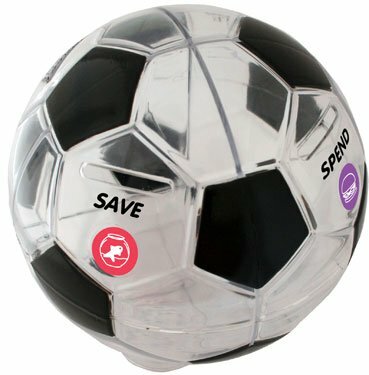 Win a Money Savvy Bank! 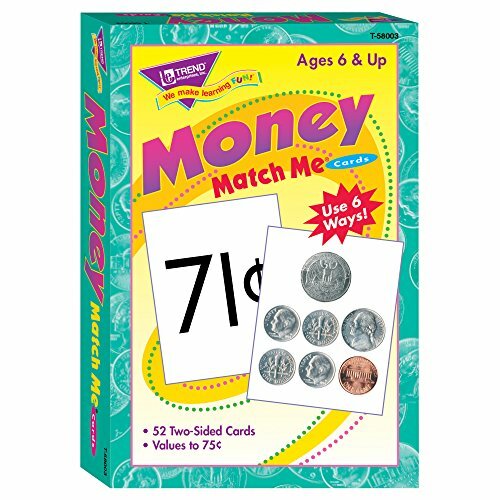 Shop for Tool to Teach Kids Money Habits! 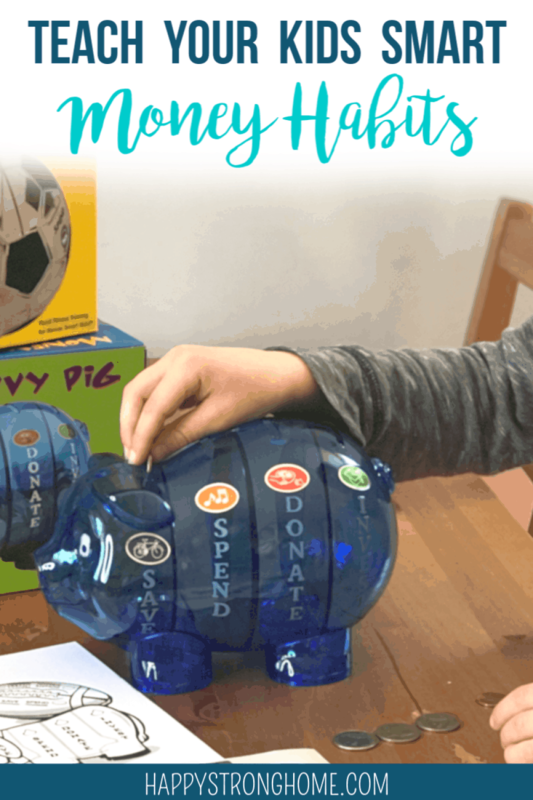 Here’s my favorite products to help me teach my kids about money! 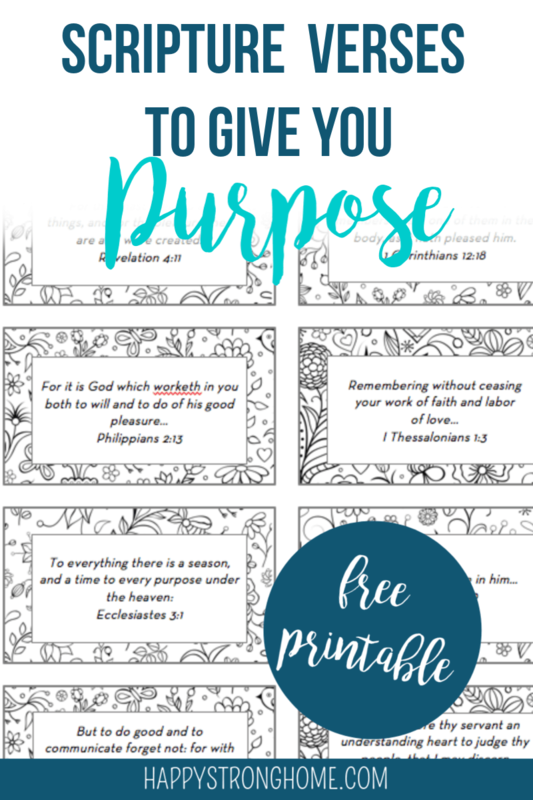 Thanks to Franklin’s Fortune and Money Savvy for sponsoring this post. All opinions are my own. I LOOOOVE this! Money was never really talked about extensively in my home growing up and as an adult I really wish that it had been. As a mother myself, I’m planning to start teaching my kids ASAP to handle, understand, and manage money efficiently and with a purpose. It’s so important! Way to go mama and I love these tips so much! 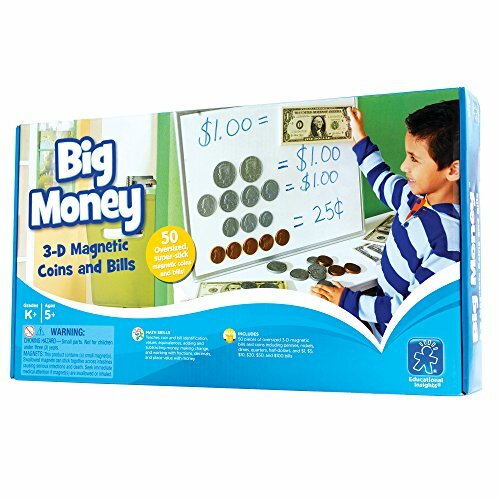 I never thought of magnetic money for the fridge – I’ll for sure have to do that for my child soon.